Developed by the Birds and the Bees for a high school human sexuality class. This is the session of Human Sexuality 101 was offered by The Autism Program at the University of Illinois Urbana-Champaign. 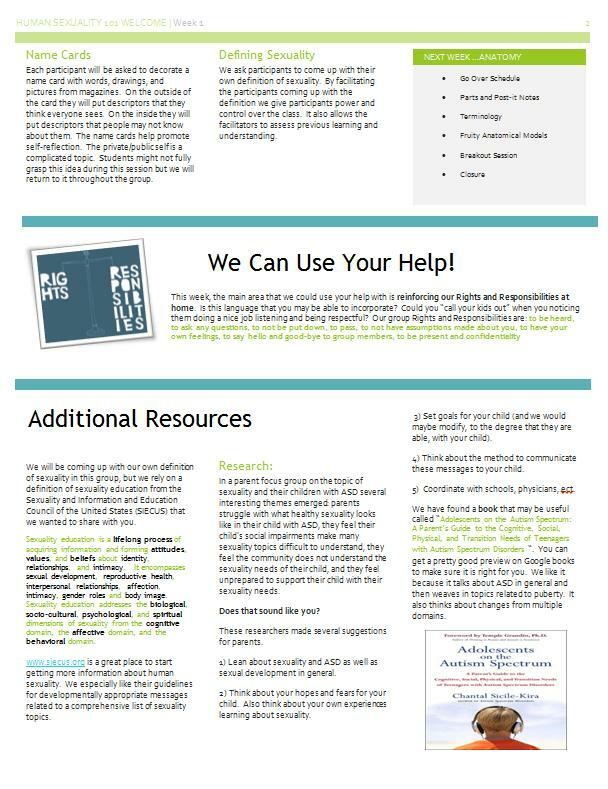 This group was designed for three high school/young adult girls and boys with ASD. 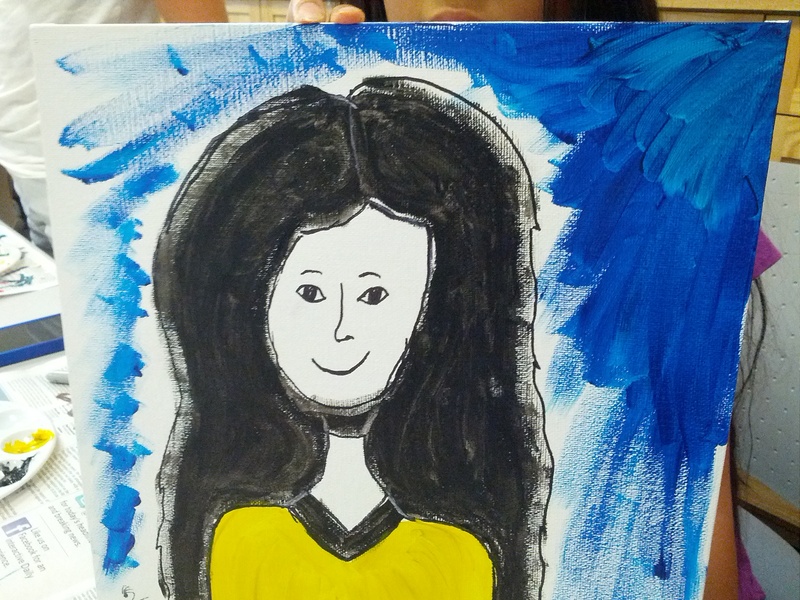 The teens in this group were bright and engaging and have had a little formal exposure to sexuality concepts, but still struggle with the more nuanced facets. Many of these activities could be adapted for groups of various sizes and ability levels. 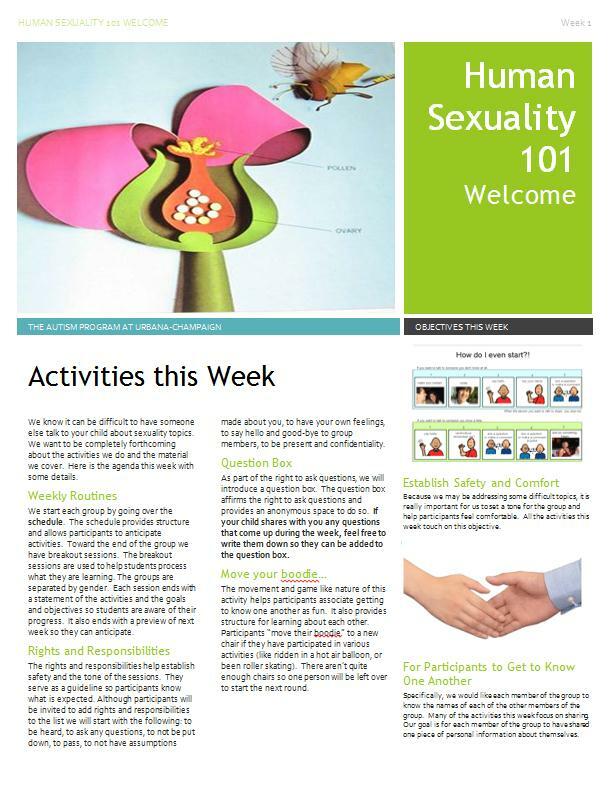 You can find all of our lesson plans for the high school human sexuality classes here. During week 4, we focused on understanding crushes. The participants first brainstormed things that a person with a crush might feel or think. Participants had different levels of understanding on what having a crush meant to them. The purpose of this activity was to help the participants to understand that crushes are a special set of thoughts and feelings about another person. We later discussed thoughts and ideas that the group may have that may be unsafe when it comes to having a crush. How to deal with a crush? We used three videos to help the participants to understand how to deal with a crush. The videos covered these topics: What if you like a friend, How to tell if a guy likes you, and How to get a guys attention. These videos give concrete ways to deal with a crush. We used a video about how to say no to deal with a variety of situations when it comes to turning someone down. Intimacy was the focus of week 5. This concept can be difficult to understand because it is very broad so this is how we talked about it in our class. We talked about how intimacy can be divided into two parts: physical and emotional. Physical intimacy involves expressing ones feelings for another person through a physical manner (holding hands, hugging, kissing, and sexual activity). While emotional intimacy involves the feelings towards another person. It is based on how comfortable you are with someone and how much you can share with them. It is important to understand that there are levels to intimacy and that it is not necessarily just for two people in a dating relationship. For this week’s activities, we opened up with a discussion on the numerous ways to have intimacy with someone. During group time, our plan was for participants to create a “Intimacy Chart”. We provided them with pictures displaying different types of intimacy ( holding hands, hugging, etc.) and asked them to write down how each of the pictures made them feel. After that we arranged the picture in order to what we felt would be the natural progression of relationships. To finish off the activity we categorized each picture based on whom we are comfortable doing those actions with. The main purpose of the “Intimacy Chart” is to help the participants to visualize the different types of intimacy. Although this was the plan, one of our students had a different idea of how she should do this activity. She asked for a folder and then decorated it with her boyfriends name. She then put the different acts of intimacy she felt comfortable with in the folder. At first, she didn’t want to share which behaviors she had chosen, but then she decided that she would share. What a great spontaneous adaption! The focus of week 6 was to better understand power relationships. During this week, the participants worked together on a activity that helped them to learn about power and control in relationships and specifically the benefits of having more power, benefits of having less power, drawbacks to having more power, and the drawbacks to having less power. The main concept that we were teaching with this activity is that there should be a balance when it comes to power. We first brainstormed ideas on what it meant to have power in a relationship. After that, the participants discussed how different situations could be red flags that a relationship is not safe and we had them place those on the outside of the circle. We superimposed a circle onto our original brainstorming to reinforce this concept (using the powerpoint project and a dry erase board). At the end of group we played a “Would you Rather” game to help them tune into how much power and control they prefer to have in relationships. Students are asked about different relationships where there is a power difference (eg. parent-child). If they would prefer the more powerful option they take a step forward, the less and they stand still. In my experience, individuals with disabilities are much more likely to choose a majority of less powerful positions in relationships. Food for thought.